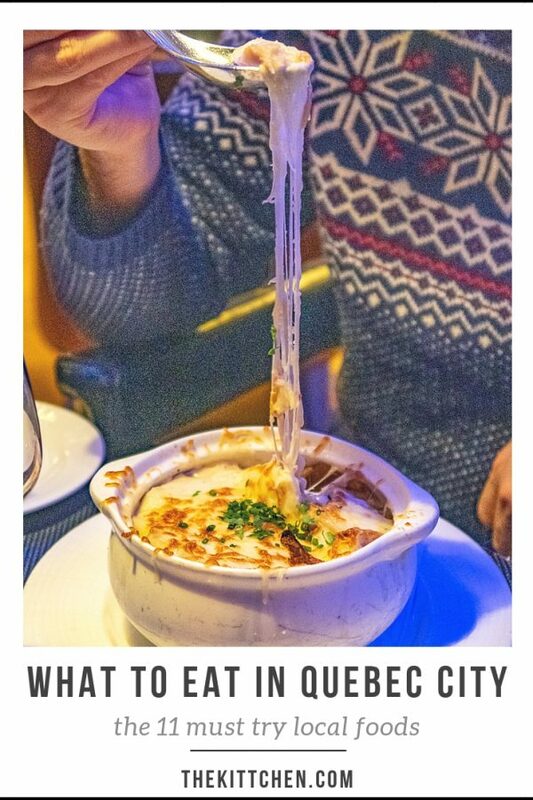 Today I am sharing a list of the foods to try in Quebec City. We absolutely loved the food in Quebec City. 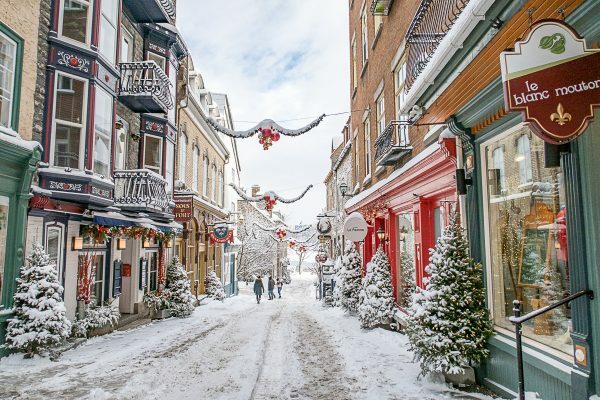 Quebec City was originally a French settlement and was ruled by the French until 1763. The French had a lasting influence on Quebec’s culture. French is the province’s official language and the cuisine has a French influence. 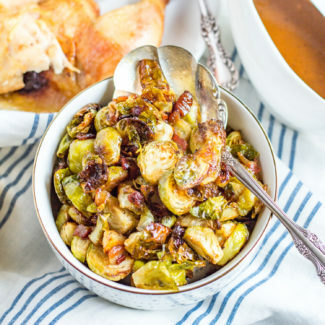 This can be seen in the prominence of traditional French foods and in unique Quebecois dishes with French influence. 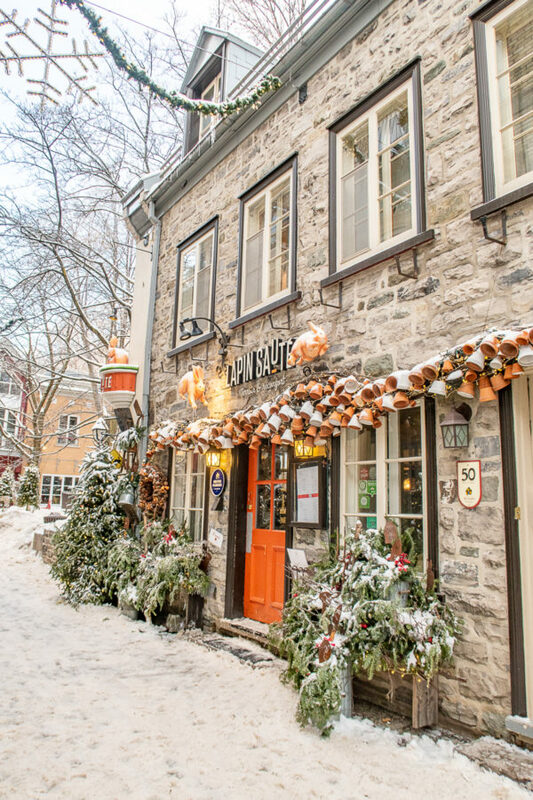 Quebec City’s Old Town is filled with restaurants, and we loved exploring them. We made a point to try as much unique Quebec food as we could. 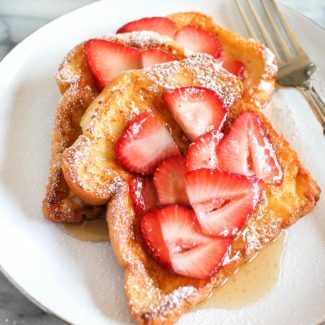 I am listing the foods to try in Quebec City along with restaurant recommendations. If you want to try Quebecois cuisine, the place to go is Aux Anciens Canadiens. 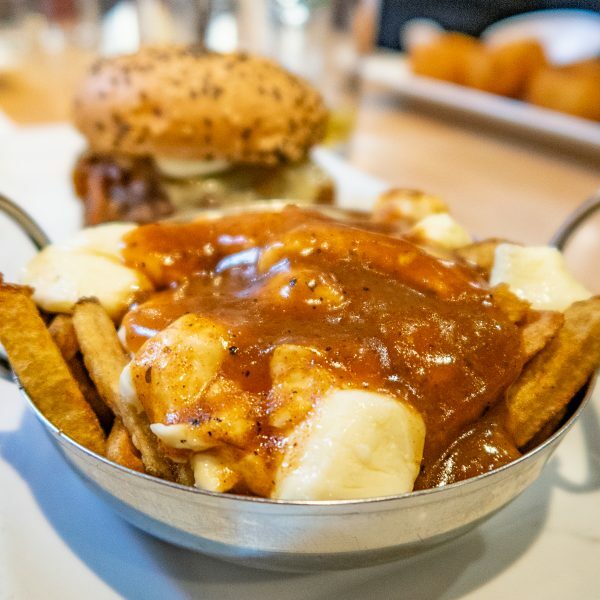 Perhaps Canada’s most famous cuisine, poutine combines French Fries with gravy and cheese curds. The best poutine that we had was at Bistro Le Sam, a restaurant at Chateau Frontenac. Crepes are one of the traditional French foods that is popular in Quebec City. 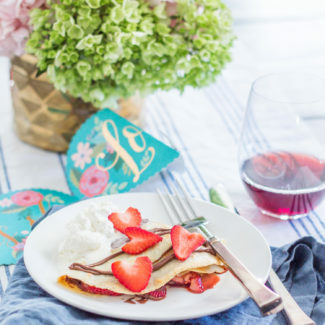 We tried both sweet and savory crepes. 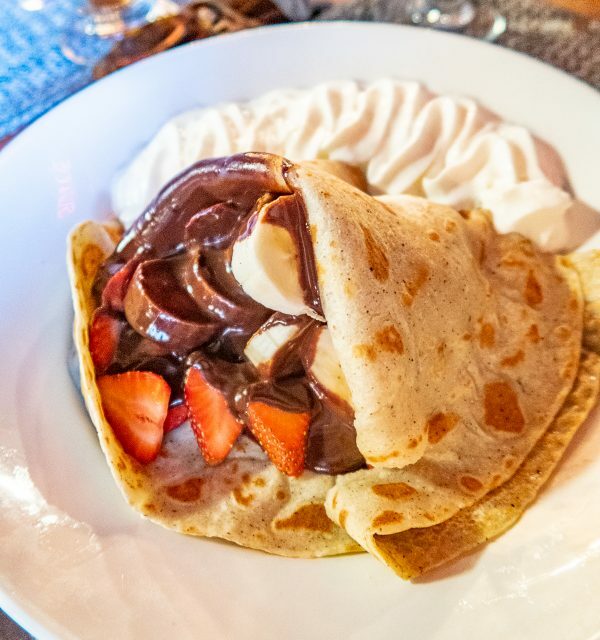 We went to L’Escale Bistro et Crêperie, which is in the Quartier du Petit Champlain and had crepes with ham, cheese, mushrooms and hollandaise, and a sweet crepe with bananas, strawberries, nutella, and whipped cream. It was the best of both words. We also had crepes at Cochon Dingue and we loved the brunch at this restaurant. 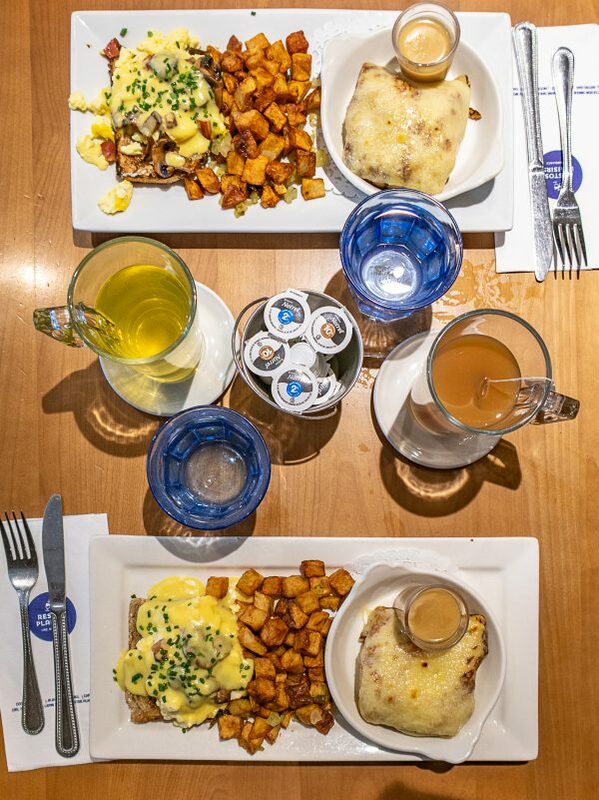 Kelly and I both ordered a breakfast that combined sweet and savory by serving poached eggs on toast with mushrooms and hollandaise beside a crepe filled with maple syrup and apples. We had a picky eater with us, but that wasn’t a problem since steak and burgers can be found on almost every restaurant menu. We tried cheeseburgers, prime rib, filet, and rib eye, and loved it all. If you want to have a traditional steak dinner, we loved Charbon Steakhouse. 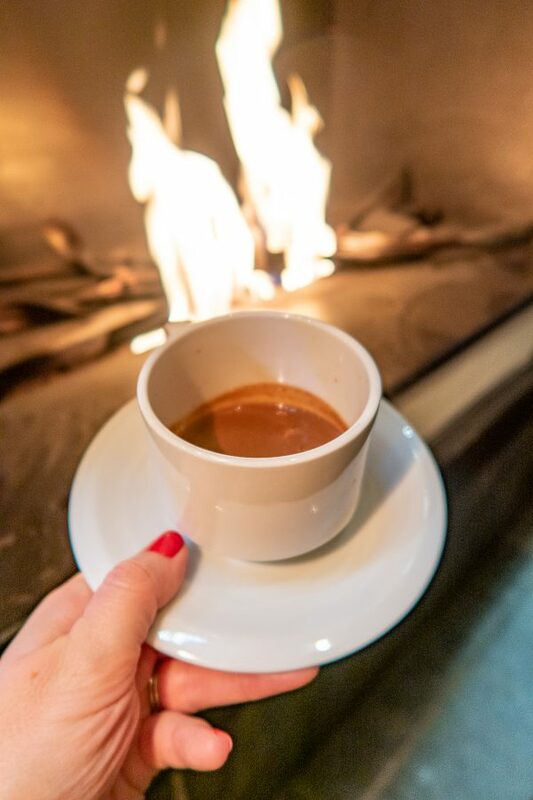 Sipping hot chocolate by a roaring fire is the ideal way to warm up, and the best place to sip hot chocolate by a fire in Quebec City is Artefact. The hot chocolate at Artefact might seem pricy, but it comes in a large pitcher and there was plenty for the four of us to share. The hot chocolate is rich, thick, and tastes like a melted chocolate bar. It’s similar to the hot chocolate in Florence. I’m not suggesting that you drink maple syrup, but you should definitely order something with maple syrup in it while you are in Quebec. And that is an easy task. Some restaurants, including Lapin Sauté, have maple syrup creme brûlée on their menus. During winter some restaurants and cafes set up little stands outside where they make and sell maple taffy. This sweet treat is made by pouring boiling maple syrup into snow. The cold snow causes the syrup to thicken turning the maple syrup into a chewy candy. 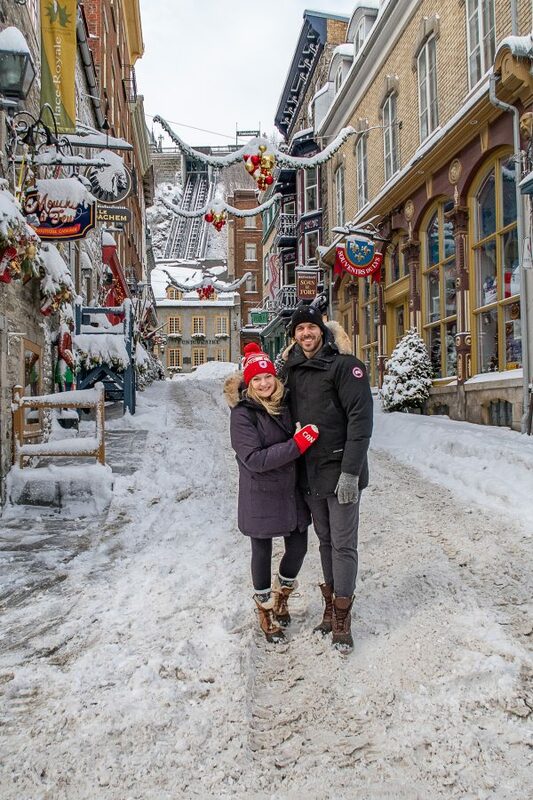 We visited Quebec City in January, and it was cold. 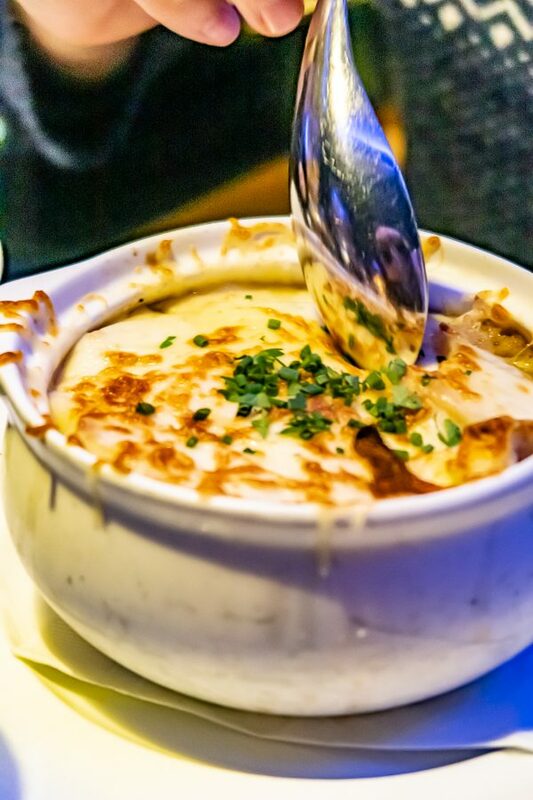 A bowl of French Onion Soup is a perfect meal for a cold day. French Onion Soup was the #1 thing that Charles wanted to eat in Quebec City, and he said that the French Onion Soup at Bistro Le Sam was the best he has ever had. 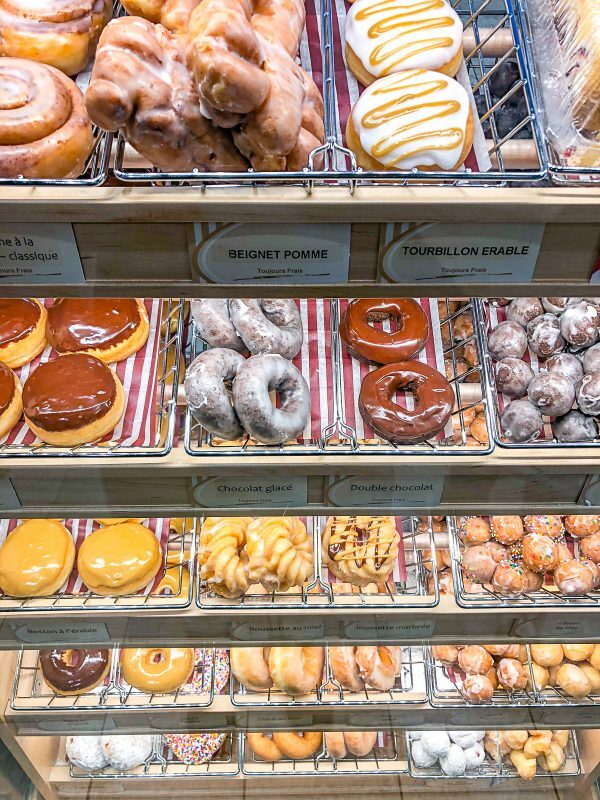 Canada’s answer to Dunkin Donuts and Starbucks has multiple locations in Quebec City. Canadians LOVE Tim Hortons, and we made a point to check it out! Tim Hortons was a perfect breakfast when we had an early morning dogsledding trip. We had coffees, eggs sandwiches, hashbrowns, and of course, doughnuts. We like their doughnut holes, which are called Timbits. We can’t get over the name Timbits. Quebec’s pea soup is unique because it is made with yellow split peas. While Quebec style pea soup calls for many of the same ingredients as my Dad’s pea soup recipe, the Quebec soup doesn’t get blended up. The soups would be similar in taste although they look completely different. Another Quebecois speciality is Tourtière, a meat pie. When you think of meat pie, you might think of something like a chicken pot pie that has meat and vegetables and a sauce. Tourtière is not like that. It ‘s filling is more like the filling in an empanada. It is filled with seasoned ground meat and usually doesn’t have chunks of potatoes and vegetables. Tourtière is commonly served on Christmas Eve of New Year’s Eve. Aux Anciens Canadiens is the place to try both Tourtière and pea soup. While rabbit isn’t a very common food in America, it is popular in Quebec City. Lapin Sauté in Québec City’s Petit-Champlain district is a restaurant devoted to serving up rabbit. Lapin Sauté serves rabbit in poutine, in a cassoulet, and braised. 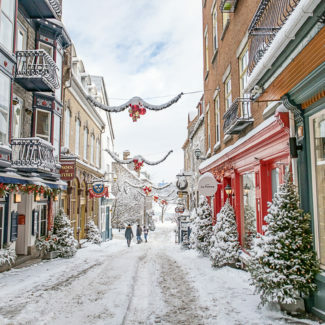 Have you been to Quebec City? I absolutely LOVED it! 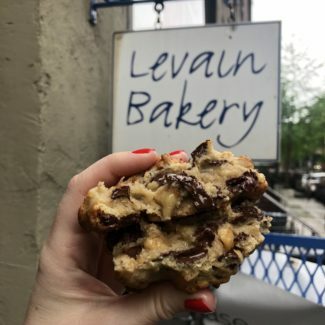 If you have any recommendations for foods to try in Quebec City, please share them in the comments. You can read all about what to do in Quebec City here.